"Don't back off until you hit something"
Signed, has this issue been resolved within the later year models? We are all in it for the fun! Yeah which years have had this issue? Would hate to pay to get this fixed so what would a recall do? Would they just check all CJs or if in the future it suffers a ABS issue its a free repair at that time? ReeceCozaa wrote: Signed, has this issue been resolved within the later year models? All the repairs I have done have been on 2008 to 2010. Haven’t seen a relatively new one fail. It’s one of those problems that you either have or you don’t. A recall wouldn’t achieve much because I don’t think you can tell if it’s going to fail. 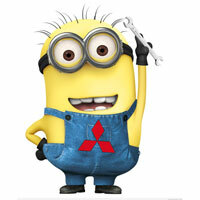 If Mitsubishi would acknowledge that there is a problem and pay for failures as they occur it would be a great help. 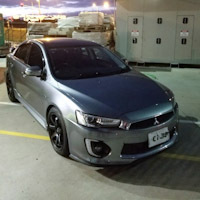 Ahhh fair enough, hopefully something if done I’d hate to cash out that much on something premature, especially like the wrx lawsuit going on in America lmao..
Yeah if its a known issue then I agree if it happens then Mitsubishi should pay, even if you're not the original owner of the car, but could there be a time limit. I mean 20 years later would it still apply? The time issue depends on whether it's a design flaw, or whether it is a wear and tear issue. After such time pretty much all things s can be related to the latter. If there's an incident and it's found to be a design flaw, then they may be required to resolve it to prevent future incidences. This also depends on whether the part in question had had a history of issues. Basically unfortunately it comes down to how honest the company is, due to costs. There's been several instances where knowledge of a faulty part is kept secret to avoid costs. GM and Ford for example. Around the same time of the VW emission scandal GM were caught out with faulty ignition locks, and continuing to use them even though they were aware of the issue (and they were despite what had been claimed by some). They got off with a $3bn fine despite over a hubdred deaths and several hundred life long injuries as a result. These are just what are known, there could be more. Number of VS deaths or injuries, zero. Pickups have higher emissions but they're exempt from those rules. So in any case, a company will usually ignore a problem if they think they can get away with it. Sounds bad but it's besnot true. A company with less recalls also looks better than one that is honest. Generally though, there are safety recalls and other recalls, you'd hope companies deal with the safety recalls at least. A failing ABS unit could be classified as 'other' since you have knowledge of the failure before the result of the failing issue is apparent (such as in a crash). I might add a pic of my car once I style the exterior a bit . So what year CJ/CFs are affected? Ideally, this should be fixed under good will but no one has reported success. Would be interesting if someone take it to the NCAT or similar on the grounds of ACL. If they win, everyone can follow their lead. Wondering what is NCAT's definition of durable for ABS pump under ACL. Whether it is time based or distance based. I had an ABS module fail with a 2008 Lancer. It happened outside of the 5 year Warranty period though. I was servicing with NRMA at the time, and I think I got it replaced with a used one for about $600. 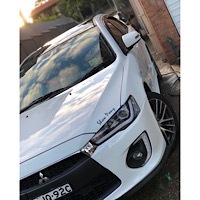 Since it was discovered during a rego check and the rego was running out in a matter of days, I just had to get it fixed knowing it wasn't the best price around. The module failed again within 12 months. But luckily it was within the NRMA's warranty period and they repaired/replaced it free of charge. Did mine today, sent it away for repair refitted today bleed brakes no problems works great $385 with 5 year warranty. don't think you will get recall. The part number would be a good indication when they changed the faulty part, assuming that it was changed of course.